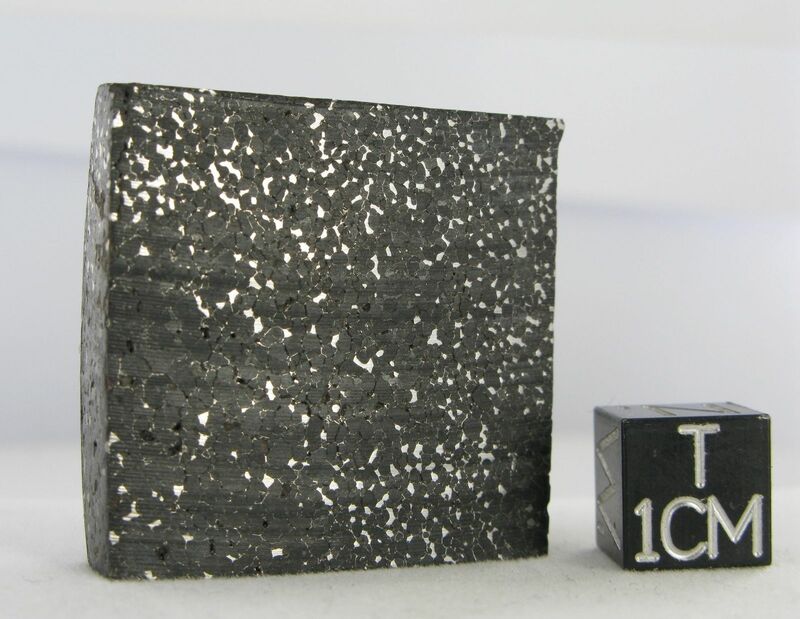 This meteorite is largely comprised of enstatite, and it is presumed to be a partial melt derived from an E or EH-chondrite precursor. 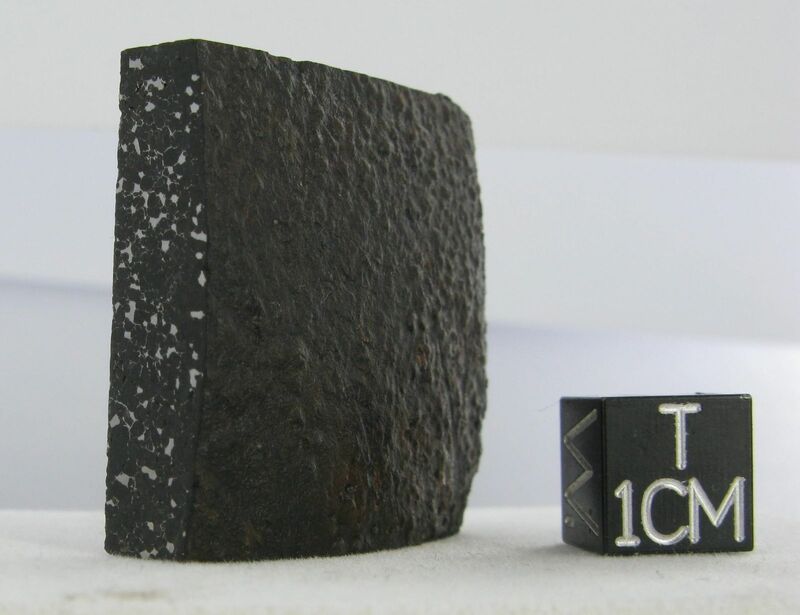 There’s quite a bit of literature on this meteorite, most of it related to the E-chondrite parent body and the timeframe of its differentiation. 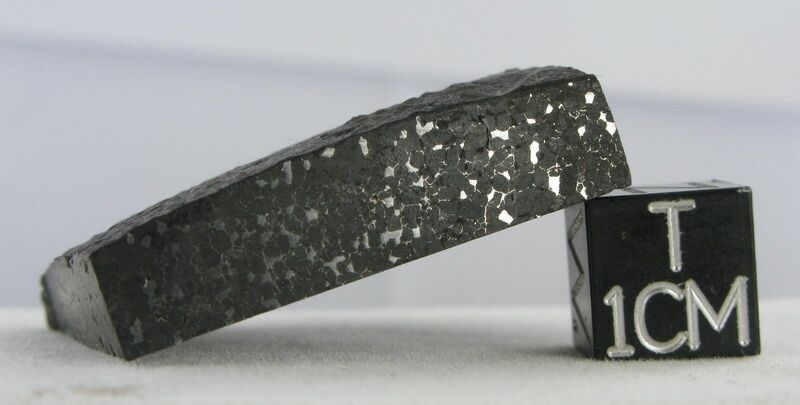 The volatilization and deposition of metal along silicate grain boundaries gives this meteorite a spectacular, unique appearance. 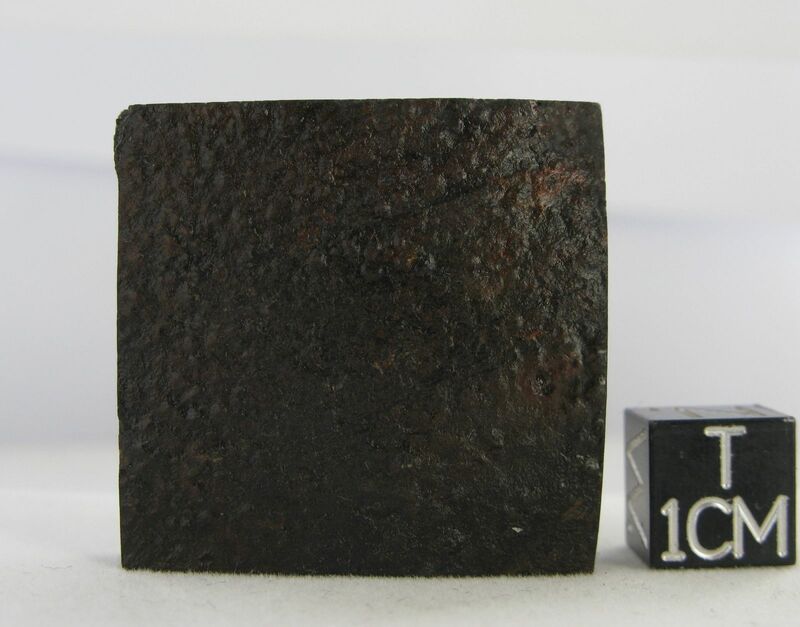 24.24 gram cut block with knobbly crust. Photos courtesy of Luc Labenne.